I probably don't need to say much more about it since I'm posting it. CNN also reports that more marchers are filling the national mall than did visitors who attended the inauguration. Right or wrong, I'm posting my prediction about the trump (lower case intentional) presidency: Impeachment proceeding to begin in his second year leading to his return to business in NYC. I am waiting for marshall law to commence. Its all been building up to it in my view. go right now with property and income t axes due. we are there in spirit. I saw a pro-trump post on fb that said someh8ing like looks like everybody is turning on trump like if you still support him. They seem to be getting the right idea! and fight his blatant conflict of interests. Maybe it's just wishful thinking but a lot of people are making the same prediction. I think he'll be done with it as soon as the thrill wears off. I also posted it on my facebook page---he'll ahve some excuse. Good for them! Kudos to you for posting this John! 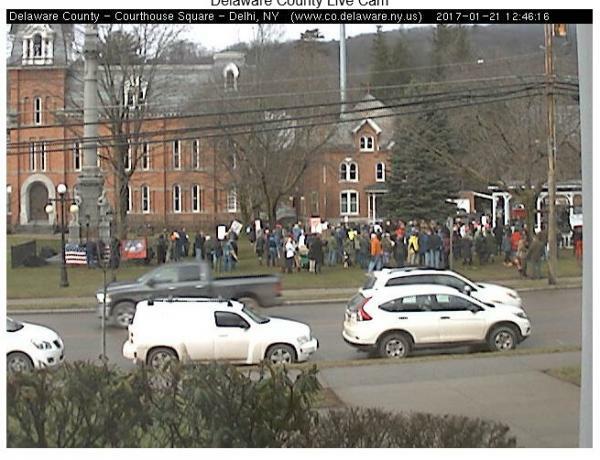 Ty It's a good turnout for a town this size!